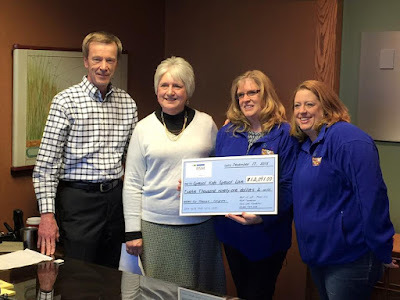 MASON CITY | A local Autism awareness group has received $12,091 raised by a Mason City accounting firm. Special Kids Special Love was presented the check Thursday during a reception at RSM US LLP. The funds were raised in a joint venture with the charity which began in July and continued up to the RSM Classic golf tournament in November.